Includes unlimited streaming of Detritus Containus via the free Bandcamp app, plus high-quality download in MP3, FLAC and more. An array of found beat makers this is hip hop from the garage. The Big Sads are the grunge of hip hop - with 80s style vocals and songs about dinosaurs and gangs. 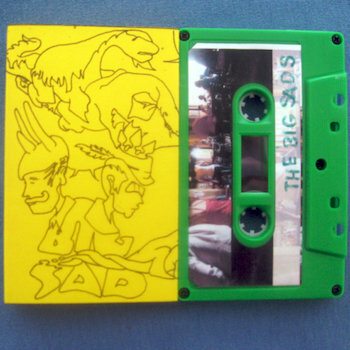 The Big Sads create a noisy atmosphere with fuzz and other unexplainable sound compositions and lo-fi experimentation. Jay Schleidt and Brock Muench make up the Big Sads.